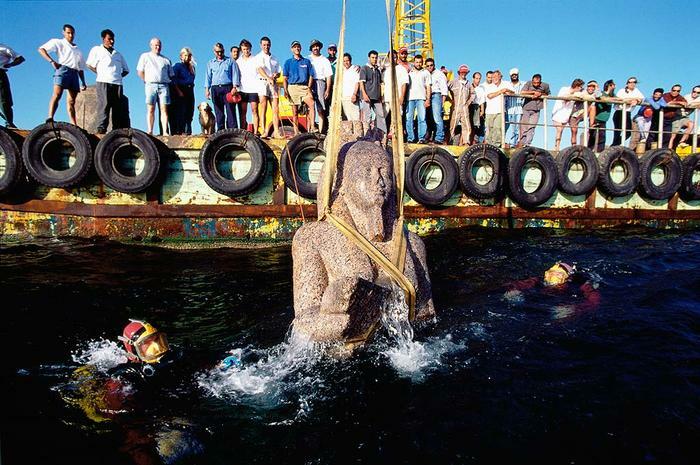 For more than 1,200 years, the mythical city of Heracleion has been hidden beneath the warm waters of the Mediterranean, buried under tons of mud and sand. 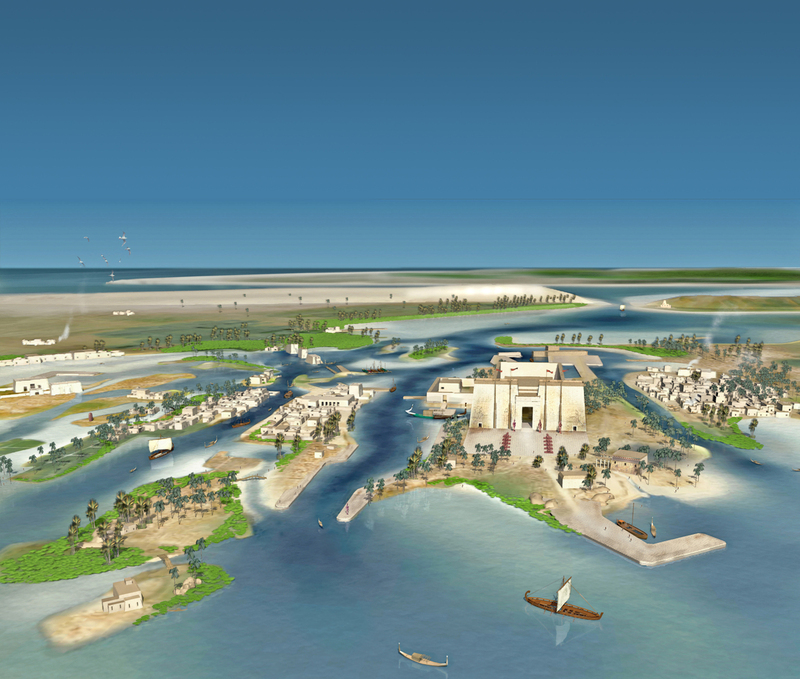 However, a team of archaeological researches has rediscovered and begun to unearth this incredibly well preserved ancient port. 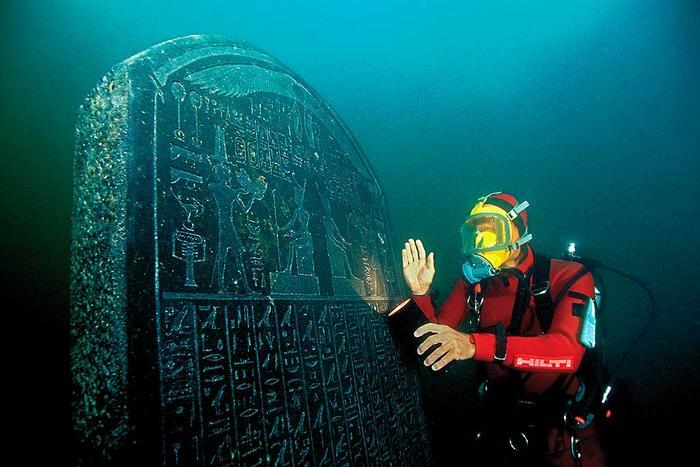 Known to the ancient Greeks as Heracleion and Thonis to the ancient Egyptians, the port city was amazingly rediscovered in the year 2000 after a 4-year geological survey by Dr. Franck Goddio, a French underwater archaeologist and his team from the European Institute for Underwater Acheology (IEASM). 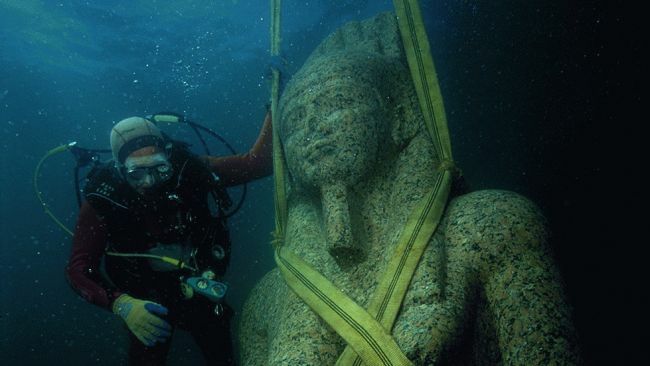 Amazingly, the ruins of the city were found in only 30 of feet of water in an area of the Mediterranean Sea in Aboukir Bay, near the ancient city of Alexandria. As of this writing, more than 60 well-reserved shipwrecks with more than 700 anchors have been found beneath the sand and mud in the seabed. Weights from Athens, giant tablets inscribed with Greek and Egyptian writing/hieroglyphs and even gold coins have been found at the excavation site. Current theories point to this findings being evidence of the citys prominence as a major trade hub in the region. 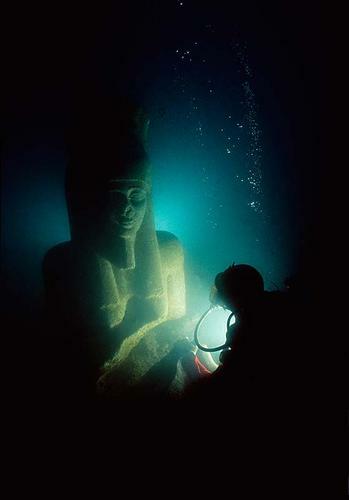 Of perhaps more interest to the esoterically inclined are the major discoveries of various religious artifacts in the submerged city. These include 16-foot stone sculptures, which are thought to have lined the city’s temple and various limestone sarcophagi that may have contained mummified animals.